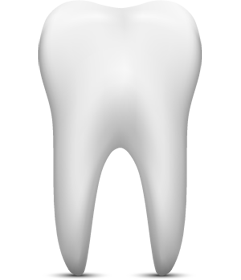 Your tooth consists of two main parts: the crown, which is that part of the tooth above the gum and visible in your mouth; and the root or roots, which is that part of the tooth that lies beneath the gum and is surrounded by bone. Inside each root is a channel that runs the length of the tooth. This channel is the root canal and contains the pulp (nerves, blood vessels, and soft tissue), that is the organ that forms the tooth when you are young. The pulp may be irreversibly damaged by bacteria associated with decay, very deep restorations, fractures, trauma, or periodontal disease. In order to preserve a tooth in which this has occurred, it is necessary to remove the diseased pulp tissue. This procedure is known as endodontic therapy. Since endodontic therapy is concerned with removing only the pulp from the root canal, the root will continue to function normally because the supporting tissues remain alive and intact. It is advisable to remove the injured pulp because it may become infected or act as an irritant to the tissues surrounding the tooth.